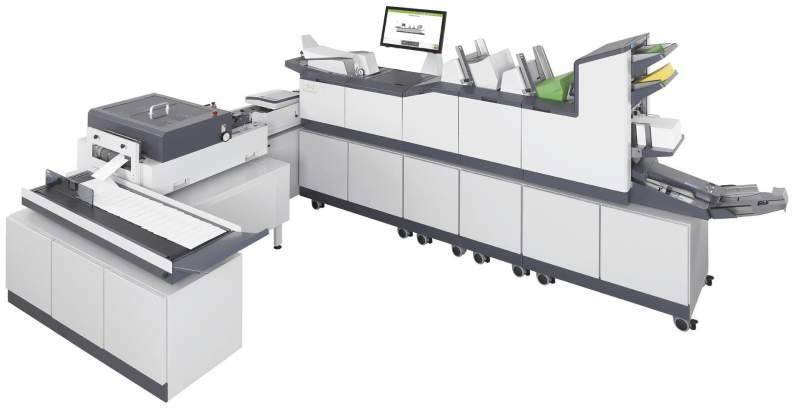 The new standard for high volume tabletop or entry-level production mail, the DS-600i folding inserting solution allows you to personalize envelopes as part of the mail assembly process with its inline dynamic envelope printer. Document feeders accommodate a wide variety of material combinations from sheets up to 16” to inserts as small as 3×5”. It can also fold up to 8 sheets single or letter fold. This scalable folder inserter is designed to grow to up to 11 feed stations to meet your needs as they expand. Based on 1 feeder plus tower folder and furniture.